The post Here’s a Hack on How to Easily Spot Yourself in NBA Replays appeared first on When In Manila. Marcus Chu is a real estate broker by profession. However, he has also been a basketball fan all his life. Around three years ago, Marcus started watching NBA games. In order to easily spot himself in replays and get a good remembrance of his NBA experiences, he usually watches the games wearing a neon shirt. Being a Russell Westbrook fan, Marcus decided to go full Russell Westbrook outfit when he finally got the chance to catch Westbrook’s game last Christmas; this also happened to be the first time Marcus got to see Westbrook live. “I was hoping to meet him as I was seated right behind their bench,” he admits. Sadly, Westbrook was too focused to entertain any fans. 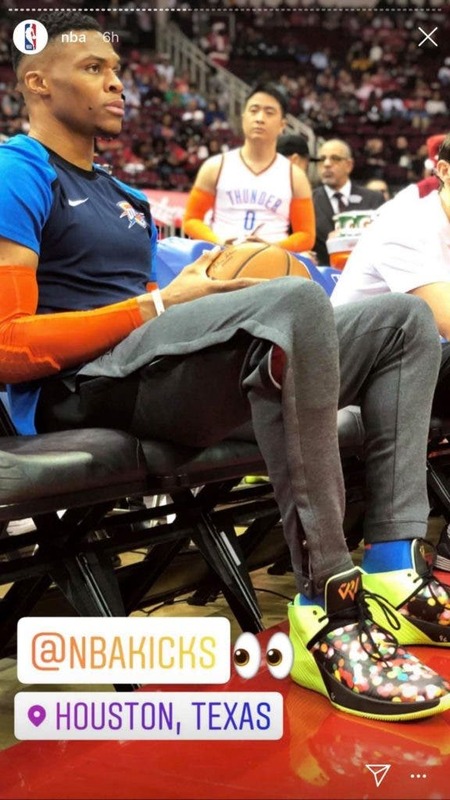 Still, Marcus was glad to see himself with Westbrook in NBA’s Instagram stories. He was also luck enough to meet Steven Adams, and even get an autograph from him and a selfie with him. Marcus’ moment with Adams was also caught on video and featured in NBA’s Twitter account.